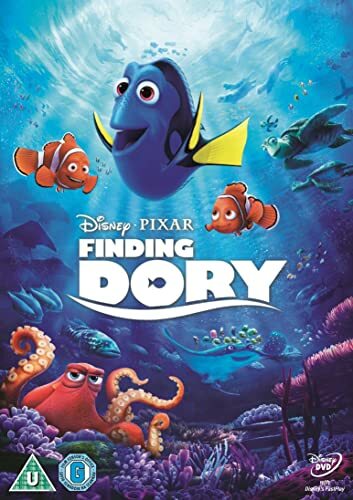 Finding Dory is the Pixar sequel to Finding Nemo, released by Walt Disney Studios. Ellen DeGeneres reprised her role as the forgetful Dory and the story follows her quest to be reunited with her parents. Along the way she is captured and then taken to an aquarium in California, where she meets Hank - a cranky octopus who reluctantly helps her! Albert Brooks also reprises his role, as the clownfish Marlin - Nemo's father. He helps Dory on her quest. Dory also meets various other creatures that help her along the way, including Destiny (a near-sighted whale shark) and Bailey (a beluga whale). Buy direct from Amazon (click here) or compare prices first (click here).